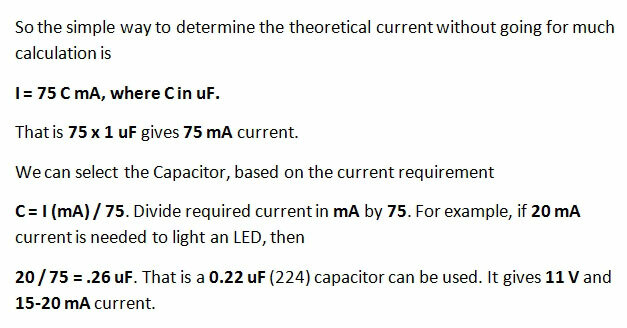 So theoretically, a 105 K 400 V capacitor (1 uF) gives 70 mA current through it when it gets 230 Volt AC. This value changes when the value of the capacitor changes. That is , high capacitance gives more current and lower value less current. Anyway, the maximum current available will be between 70 mA and 150 mA in the capacitors now available. So these capacitors can only be used to make power supply for less current applications. 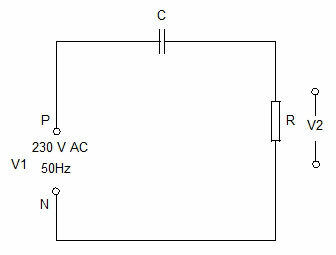 The image below shows a simple Capacitor power supply using 105 K 400 V capacitor. It gives 30-40 volts DC with a current of 60-70 mA. 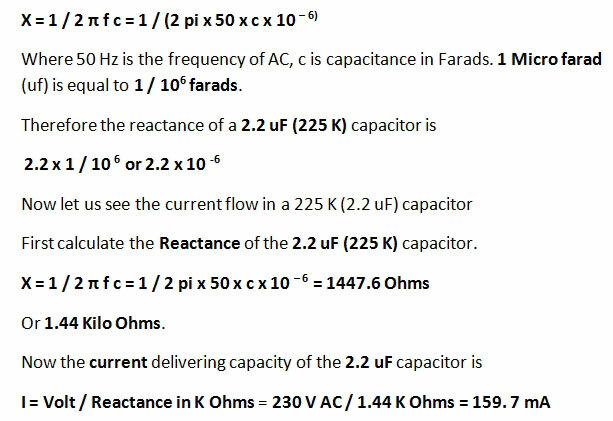 So after calculating the Reactance of the capacitor, it is easy to find the current delivering capacity. It is important to note that, the current from the capacitor depends on the input voltage. As you know, the AC voltage will not be steady normally. So if it drops to 200 V or less, a corresponding reduction in the voltage and current will reflect in the output of the capacitor. The table below shows the tested Voltage and current from different types of X rated capacitors now commonly used. 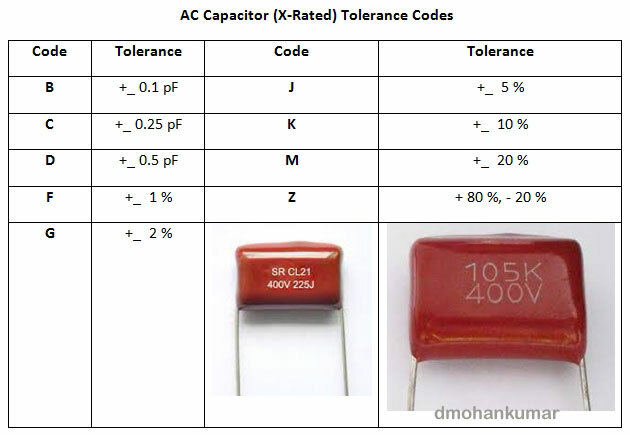 The table below shows the Tolerance codes of the X rated capacitor. 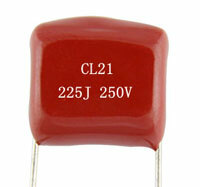 Commonly, the capacitors are available as K, J etc after its EIA code. For example 105 K means 1 uF capacitor with + or – 10 % Tolerance. So in actual use, its value may show a 10 increases or decrease. Caution: The power supply based on the Capacitor is dangerous since it is directly connected to high volt AC without any galvanic isolation. So do not construct this kind of circuit unless you are competent and experienced to do that. A simple carelessness can give a fatal shock or burst a fire. Do not test or trouble shoot the circuit when connected to mains. Take all precautions while testing such circuits like wearing gloves and foot wear.